… not much “living” with it! The pressure’s on to promote ourselves on Facebook, Goodreads, LinkedIn, MySpace, Twitter, and YouTube; to creat a blog for our musings and meanderings; to notify everyone where the party is (and we are) on Foursquare; to share our photos on Flickr and our interests on Pinterest. So when do we really have time to do our real jobs? When do we have time to get out and live if we’re so busy posting the events of our lives? First up, a book about a pioneer woman with a modern spirit, a book that I had the pleasure of editing for Stephens Press. 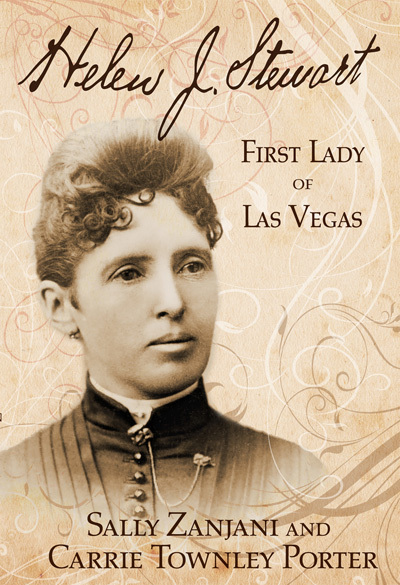 Helen J. Stewart, First Lady of Las Vegas chronicles the life of this amazing woman whose legacy can still be seen and felt in Las Vegas today. I can only imagine how many “friends” she would have made!